Lead time refers to the amount of time that the magazine needs in the production process to go from a writer's pitched idea to the published version of the magazine. 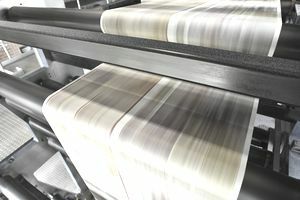 When a publisher or editor asks for a certain lead/lead time or describes a magazine's "lead," they are simply describing production and print schedules for their particular title. For example, if a writer is pitching an article on the winter holidays, the advertised lead time may call for this article to be pitched in the middle of summer. Yes, some magazine do indeed work that far ahead of schedule in planning their issues! Lead time can often be found on the "submissions" page or listed in the Writer's Market. What's a Typical Lead Time? There are some typical lead times for some publications, although the writer should make every effort to find out a specific title's lead. For consumer monthly magazines, aim for one to two months ahead. For trade monthly magazines, you'll want to pad that time: make it two to six months to be on the safe side. Of course, if a magazine prints less often than monthly, your best bet is to check with the publication directly, as they may be working on a quarterly basis that throws all best guesses off! In addition, you may want to adjust up for national-level magazines, whereas regional magazines may work on a shorter turnover. That sounds like all kinds of guess work, doesn't it? You can supplement your knowledge of lead times by checking out the magazine's editorial calendar, which will often list the theme of upcoming issues, along with the deadline for all materials for that issue. How convenient is that!? This calendar is often a service to advertisers, so that they may submit appropriately themed graphics, if necessary. Therefore, if an editorial calendar with lead times isn't made available to writers, check the "advertisers" section of the magazine's website.